Alex was born and raised in England. He moved with his mother to Nebraska as a teenager. There he joined the US Marine Corps and served for six years, spending most of his time in Iwakuni, Japan. He met his Brazilian-Japanese wife in Japan and after leaving active duty in the Marines, they moved to Hawai'i in 2011. Alex has worked in sales and hospitality for a combination of over thirteen years, before earning his license in Real Estate and later becoming a RE/MAX REALTOR® ASSOCIATE. His dedication to mission accomplishment from the Marines and negotiating and customer service skills blend to provide a great combination for helping people find a home in Oahu. 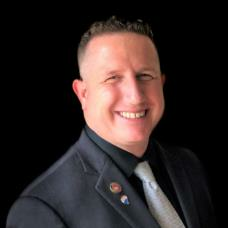 He is currently part of a highly awarded team that brings worldwide experience to the clients of RE/MAX ALOHA HOMES.